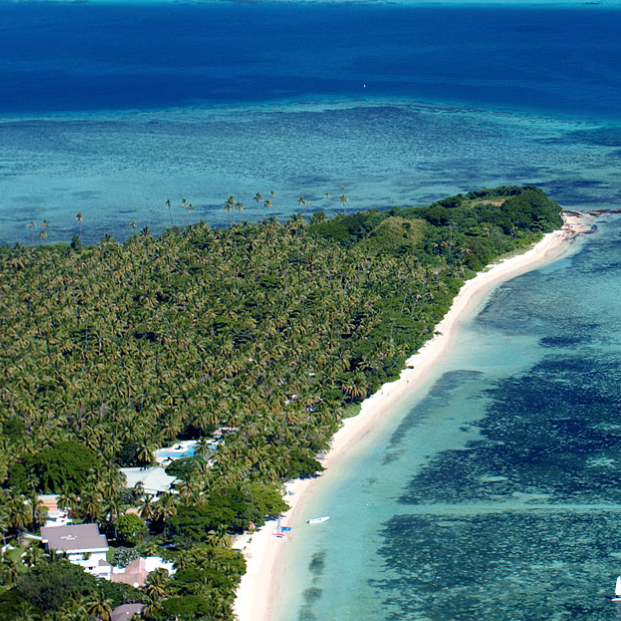 Luxury and exclusivity form the cornerstone of the Dolphin Island Fiji experience, and there is simply no more appropriate way for guests to make their way to this high-end escape than on a Turtle Airways’ seaplane. Dolphin Island spared no expense in the design of their resort, employing the interior design vision of Virginia Fisher in furnishing its bures with the utmost style. Exquisite harmony and union with the landscape was the realisation of Virginia’s work. 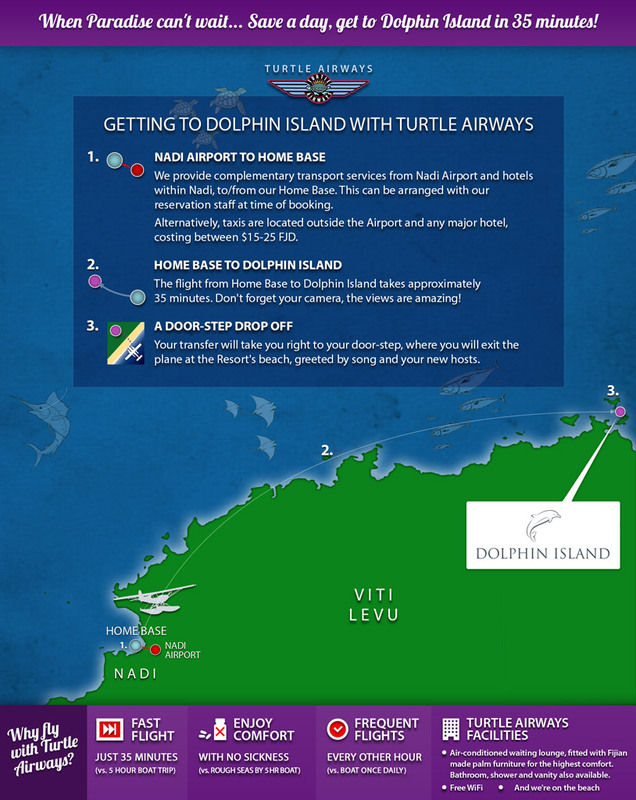 Besides providing luxury escapes for couples, Dolphin Island also warmly welcomes families. Children will experience an excitement and a sense of treasure island adventure as they explore rock pools and swim for hours in the warm sheltered waters. Kids will also love the Nara Waterslide Tour and learning about Fijian culture on the Suncoast Tour. 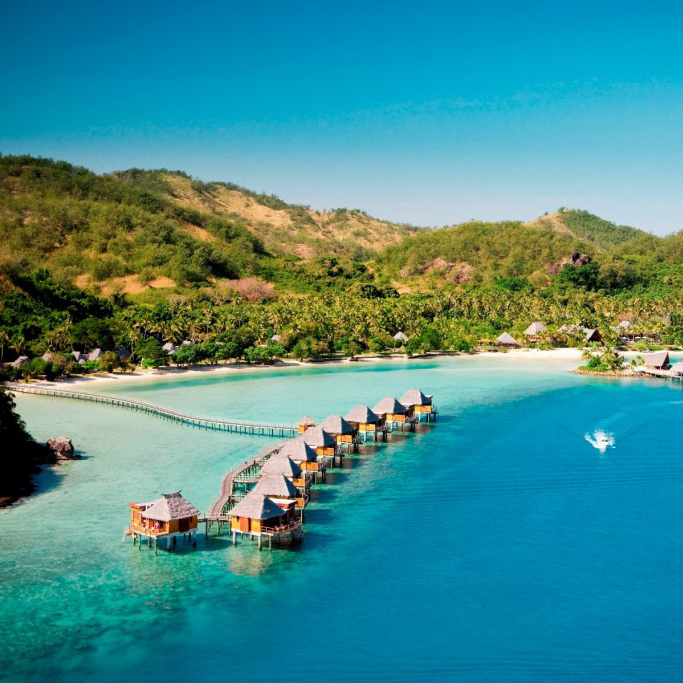 Honeymooners at Dolphin Island Fiji will enjoy pampering in the extreme, with on-beach massages, dinner by candlelight, ice-cold cocktails on the pontoon, and midnight swimming in their own private infinity pool. It will be an unforgettable and blissful start to married life to remember forever.